Watermark Image is an application for applying the so-called "watermarks" on photos and other images. The program allows you to use as a sign of both text and graphics. The watermark can be customized – the user is free to choose the color, transparency level, location and its size (as a percentage). Supported by resizing program of the final image and file format. 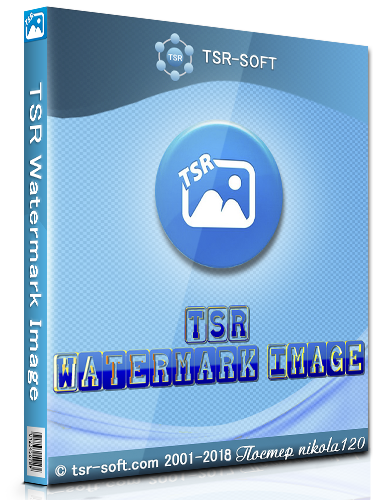 TSR Watermark Image allows you to add text to the EXIF ? ?file as a watermark. The application supports batch processing of graphic files.